CalicoPaisley is a furry artist who lives in the United States. 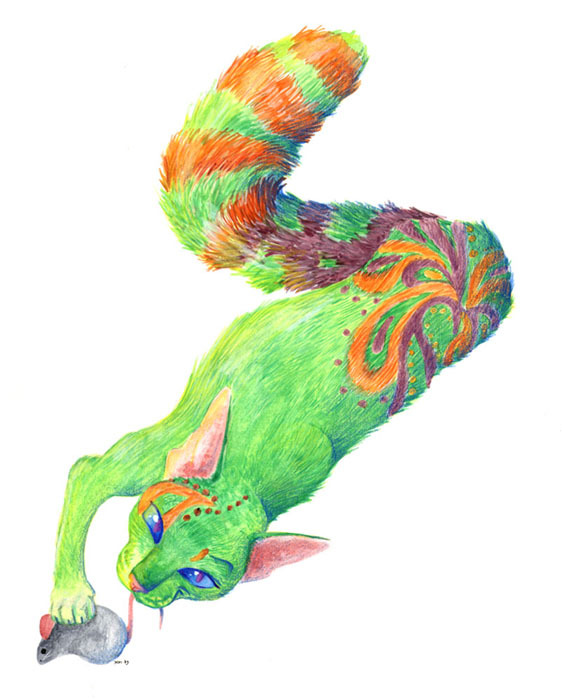 Her fursona is a green cat with purple and orange paisley markings, and orange rings around her tail. Calico's artwork featured in issue 12 of AnthropoMORPHINE. ↑ CalicoPaisley's profile on deviantART. Retrieved August 6, 2013. ↑ cali.jpg on CalicoPaisley's gallery on VCL. Dated July 8, 2003. Retrieved August 6, 2013. ↑ AnthropoMORPHINE #12 on Lazy Fox Studios. Retrieved August 6, 2013.